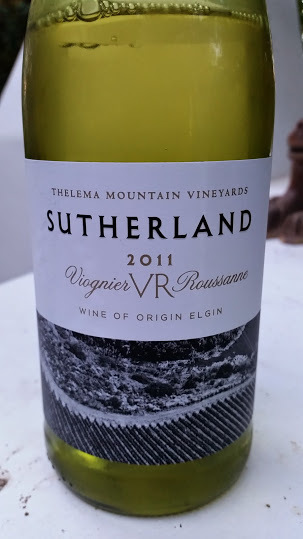 The Viognier Roussane blend from Thelema’s Elgin vineyard called Sutherland first came to prominence when the 2009 vintage won gold at the 2011 Old Mutual Trophy Wine Show. Current release is 2011 (R100 a bottle) and it’s again a particularly characterful wine. A blend of 79% Viognier and 21% Roussanne, it was fermented and matured for 10 months in second- and third-fill barrels. The nose is compex with notes of peach, apricot and spice plus harder to describe savoury notes thanks to lees contact and time in bottle. The palate is thick textured in a good way, the acidity nicely coated and there’s good balance overall. It’s an absorbing wine which keeps you coming back to the glass to explore different nuances.